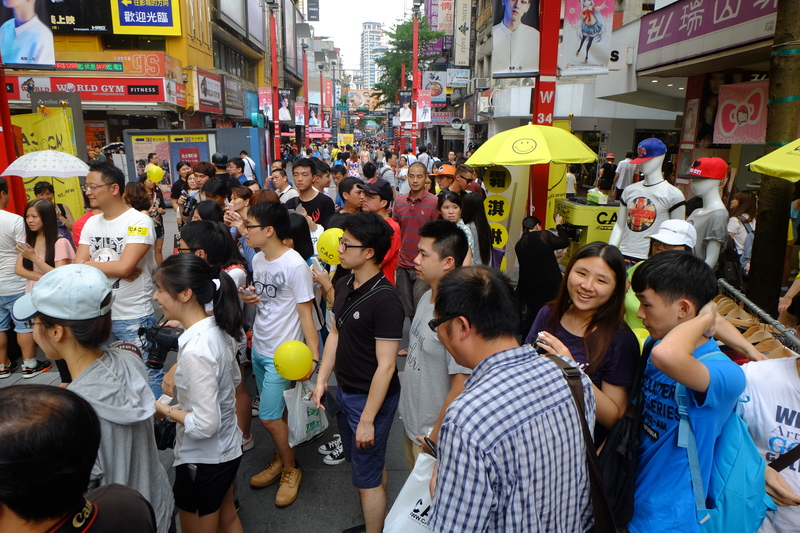 Smiley®, the happiest brand ever, will open its first ever pop up shop this week in the Causeway Bay shopping district, Hong Kong, as the brand continues it’s planned expansion into the Asian market this year. 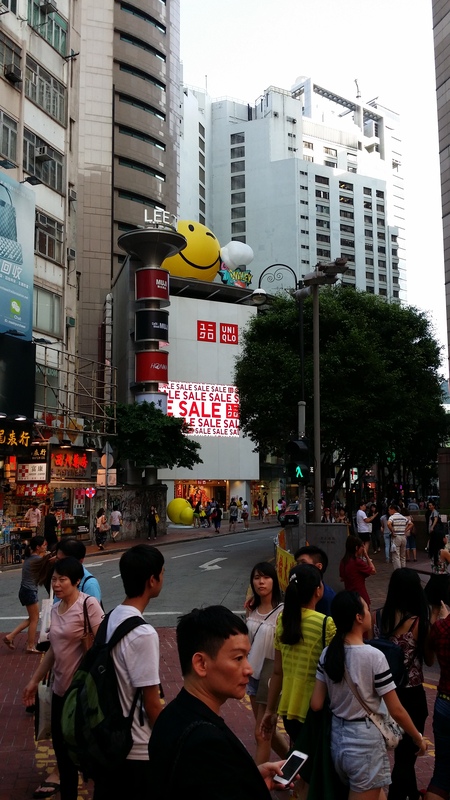 This store will act as a template for SmileyWorld gift stores, and there further plans to open 200 SmileyWorld stores in APAC in the next 5 years with major franchise partners. 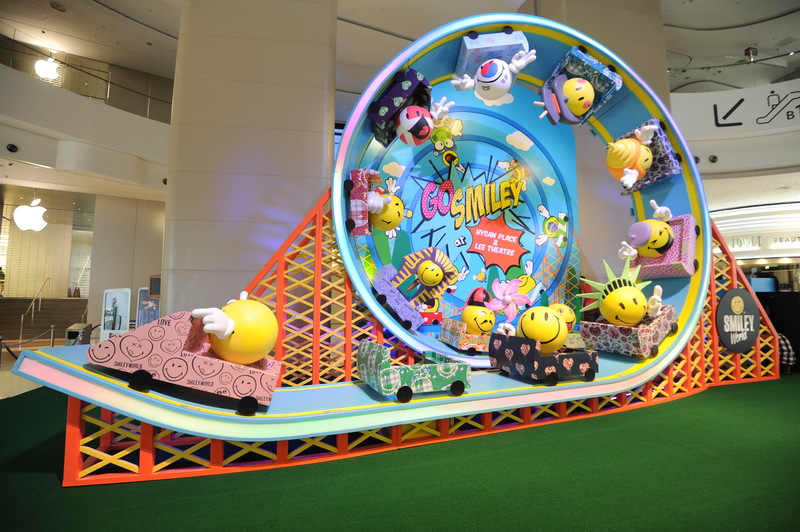 To celebrate the summer and bring some cheer to today’s hectic society, shopping centre Hysan Place and Lee Theatre are launching the SMILEY® exhibition with a giant SMILEY® showcase, special offers and a heartwarming and innovative fund raising machine. 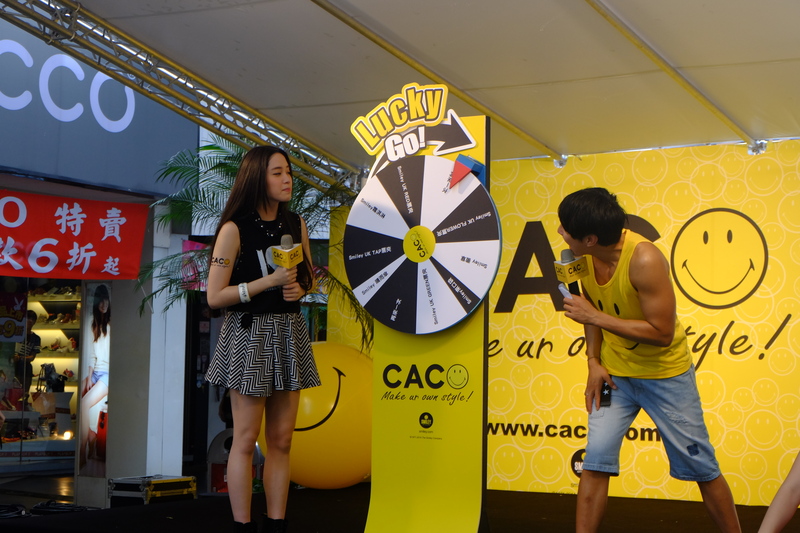 Featuring the tallest and biggest“SMILEY® roller-coaster” showcase in Asia, innovative SMILEY®interactive donation machines, and a giant SMILEY®magnet wall, the venues are filled with positive energy. 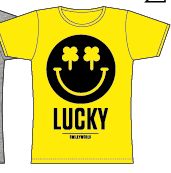 The Smiley pop up store will stock a limited edition range of SmileyWorld accessories, homeware, stationary and much more, from licensees including NICI, Incidence, Cardelicious, Stationary Team, Clima, One-O-One and Qiankin. 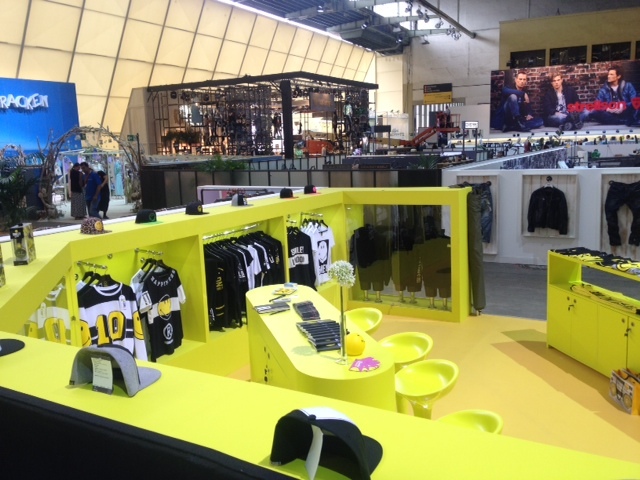 The pop up store will be open from July 23rd until the end of August 2014. 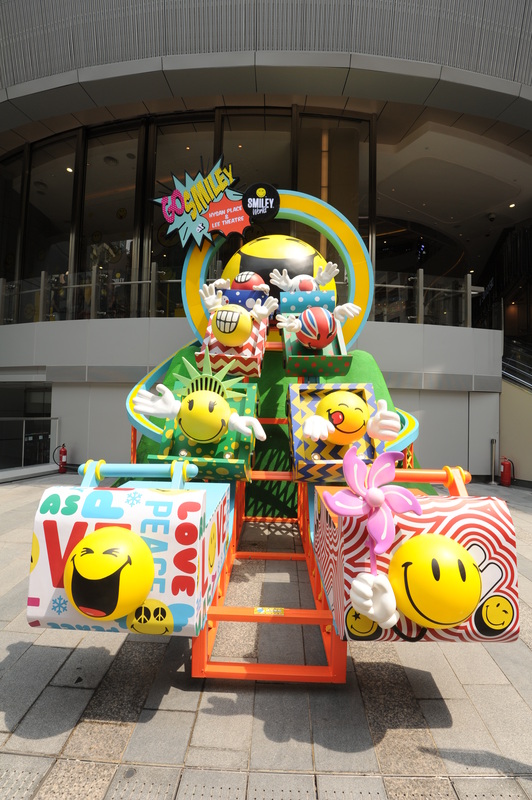 Hysan Place and Smiley have also worked together on creating visual marketing campaigns throughout the centre to engage with consumers, and ensure the new pop-up is on everyone’s radar in Hong Kong. Happiness and the Smiley face has never been more relevant to consumers around the word then it is today, it continues to be a massive influencer of global pop culture. Whether it’s Pharrell Williams ‘HAPPY’ topping the charts or Über fashion house Moschino rocking Smiley’s on the catwalk, even Katy Perry and her dancers have been decked out in Smiley on her sold out Prismatic world tour this year alone. 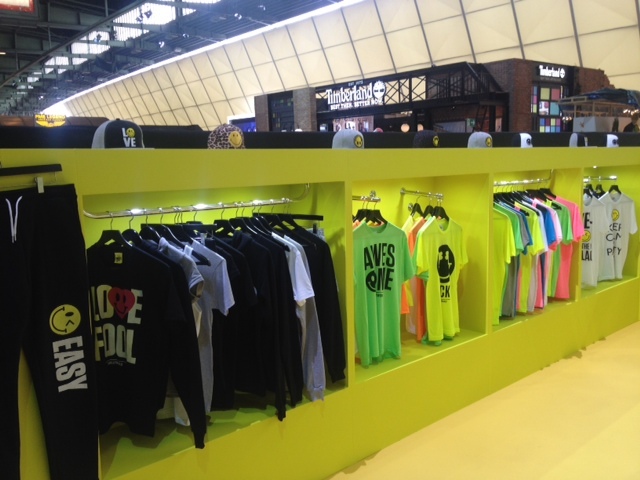 It therefore comes as no surprise to share news of another huge retail success for the happiest brand in the world. For the 4th consecutive season, Smiley have collaborated with hip underwear retailer Undiz on a new licensed collection that is already proving to be a huge hit, having achieved record-breaking sales in its first week! The new range, which includes, nightwear separates and underwear for women and men in a neutral colour palette of grey and white with highlights of yellow also features all over prints and embroidered Smiley faces. Happiness takes over the Smiley store! 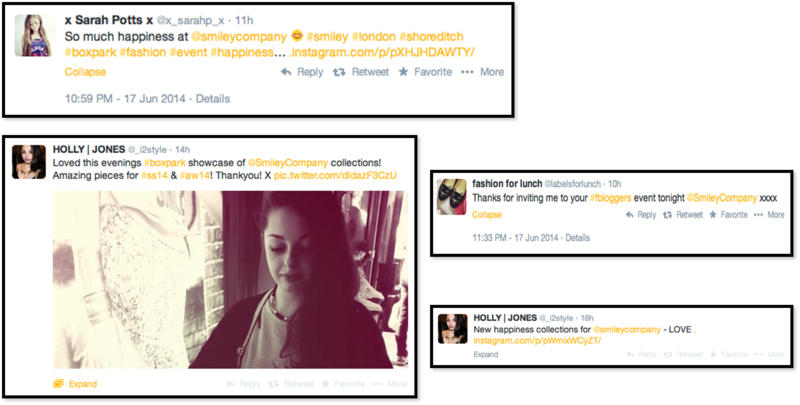 Smiley and Italian fashion brand Happiness launched their latest collaboration on Tuesday 17th June with an exclusive press and bloggers event at the Smiley flagship store in Boxpark, Shoreditch. 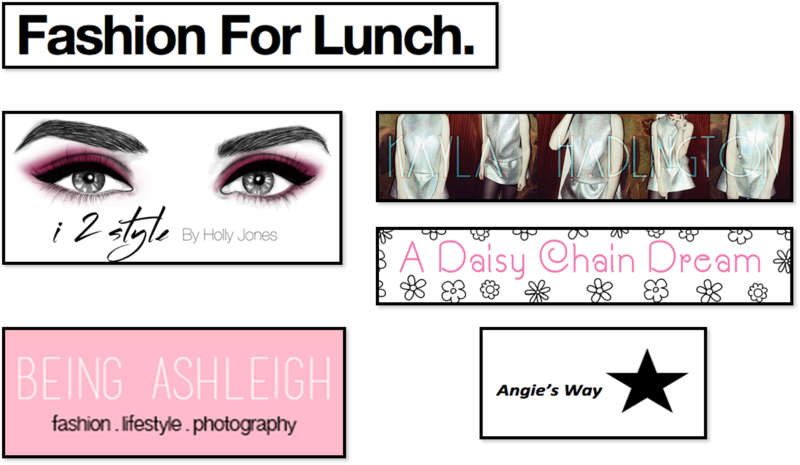 Presenting the happiest fashion collection of the season from two champions of positivity, the event showcased the new Autumn range and was attended by some of London’s most influential fashion, lifestyle and music industry insiders. Featuring collegiate inspired pieces, the collection also uses bold black and yellow colours, with highlights of white and heavily influenced Sports-luxe styling. Items includes sweat pants, loose vests, casual shorts, swimwear and mesh t-shirts; the original Smiley has a linear deconstruction. The Smiley x Happiness new collection launches in July, and with comfort and style top of our list, we can’t wait to get our hands on it!